for President Obama on Nov. 6. According to the latest survey conducted by The Field Poll in California, the majority of Latino voters will be supporting President Barack Obama on Nov. 6. The same poll shows that Mr. Obama currently garners the support of 48 percent of all voters, while former Massachusetts governor Mitt Romney has the support of 32 percent of the California electorate. With regard to Latino voters, 57 percent told the pollsters that they would vote for the incumbent president, while 15 percent indicated that they were planning to support the former governor. Yet, 28 percent of those surveyed stated that they were either ‘undecided’ or that they would not cast a ballot for either candidate. 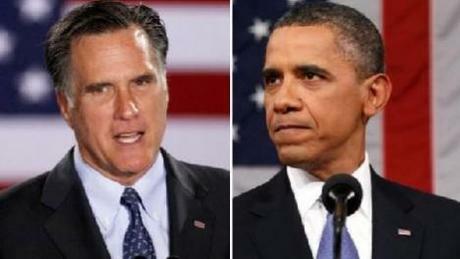 However, the survey found that Mr. Romney benefited from a slight advantage over Mr. Obama among non-Latino white voters. Forty four percent (44%) stated that they would back the presumptive Republican nominee, compared with 41 percent who intended to vote for the incumbent president. Fifteen percent (15%) of voters in this group said they still had not decided whom to vote for in November. The poll also reports that the popularity of Mr. Obama in California is on the wane among all voters. While 62 percent had a favorable opinion of him back in May 2008, now only 53 percent view him in a positive light. Similarly, 38 percent view Mr. Obama negatively these days. Four years ago, only 29 percent of California voters did so. Although 40 percent of voters currently have a favorable opinion of Mr. Romney, compared with 38 percent a year ago, the proportion of those who view him negatively has increased from 34 to 44 percent over the same period. According to the Pew Hispanic Center, 67 percent of Latinos nationally (74 percent in California) cast a ballot for Mr. Obama in November 2008. His opponent, John McCain, garnered a mere 31 percent of their votes. In an effort to highlight Mr. Obama’s failures and the effects his badly-though policies have had on minority voters, Mr. Romney’s campaign released an ad on Tuesday which stresses how badly the Hispanic and Latino populations have fared under the incumbent president. The ad uses September 2011 data from the U.S. Census Bureau and states that, “More Hispanics have fallen into poverty under President Obama.” It also quotes the title of an eight-month-old Pew Research Center survey, “Childhood Poverty Among Hispanics Sets Record, Leads Nation,” which reported on child poverty among the Latino population. “More Latino children are living in poverty—6.1 million in 2010—than children of any other racial or ethnic group. This marks the first time in U.S. history that the single largest group of poor children is not white,” Mark Hugo Lopez and Gabriel Velasco of the Pew Center wrote last September. The former governor’s campaign is expected to release the same ad in Spanish in the next few days.